Everything about this experience is steeped in tradition, and the rest of the food is no exception. Lovely fresh finger sandwiches, some warm savoury pastries and a plate of petit fours. 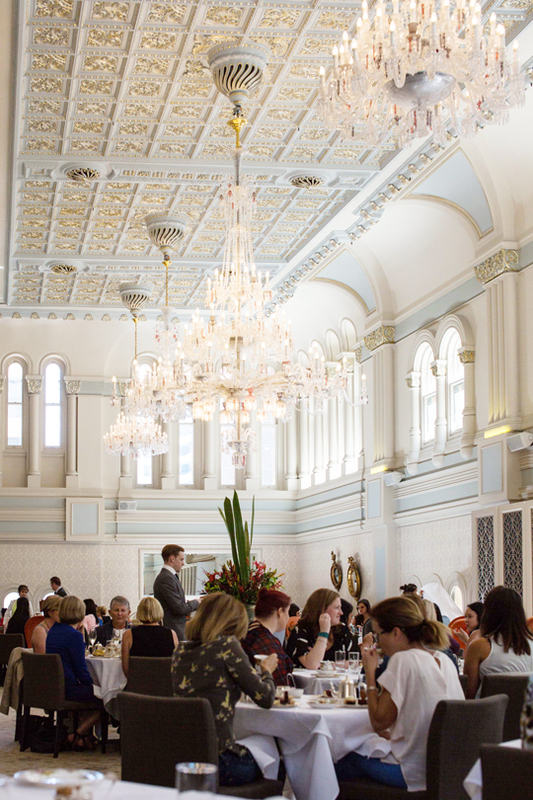 The Grand Ballroom in the Queen Victoria Building in the heart of Sydney’s CBD has, for the last decade at least, been known as The Tea Room, offering guests an elegant experience in one of Sydney’s most well known historical buildings. 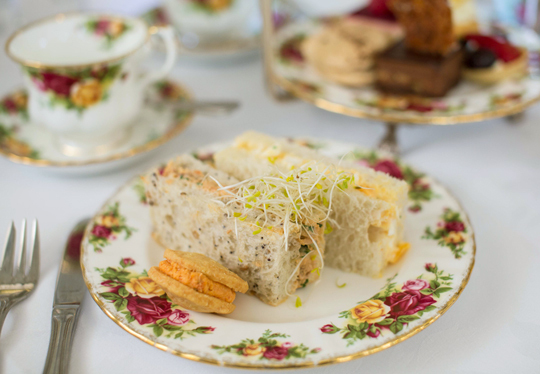 Being one of the first venues to offer it, The Tea Room originally made quite a name for itself as Sydney’s best high tea. 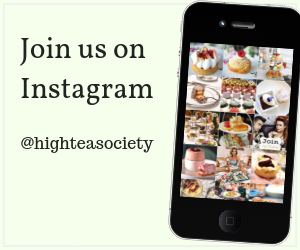 While we’ve previously reviewed it here at High Tea Society, that was several years ago, so we thought it time we paid another visit. The opulence of the room upon entry is still spectacular, and it’s clear to see why many a wedding has also been celebrated in this space. Soaring ceilings, arched windows, sparkling chandeliers, the wow factor is breathtaking. 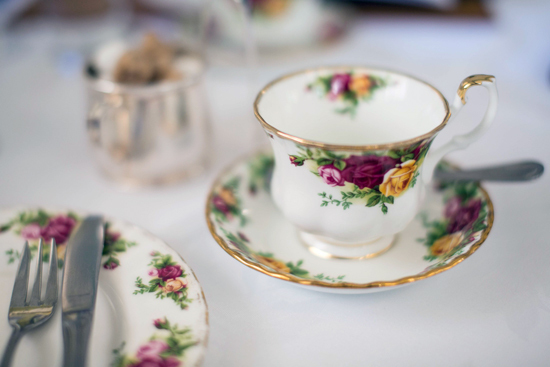 The Royal Albert fine bone china is impeccable, and unlike some shabby chic venues, it all matches! Once seated at our table, the friendly staff waste no time in kicking things off. 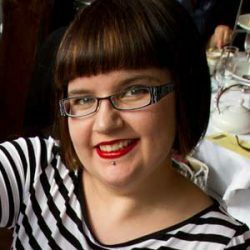 We have our order taken and the champagne arrives in no time at all – we always choose the champagne option when reviewing! Thankfully we’re left to peruse the tea menu at our leisure, it’s three pages long so it takes a while to decide! A short time later the 3-tier stand arrives. Much to our delight the scones are served nice and warm. Not all venues do this, and it’s a nice touch when some do. Breaking them apart it’s easy to see that they’re some of the best scones we’ve eaten in a long time. A good crunch on the outside, but still perfectly soft on the inside. Of course we slathered them with the clotted cream and house made jam. They were definitely the “dish of the day”. Everything about this experience is steeped in tradition, and the rest of the food is no exception. Lovely fresh finger sandwiches, some warm savoury pastries and a plate of petit fours. 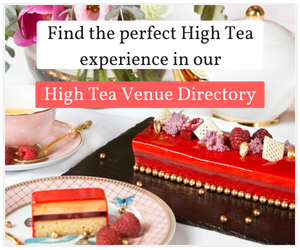 All perfectly delicious examples, but we think it’s here that the ‘best high tea in Sydney’ crown starts to slip a little. Don’t get us wrong, we really enjoyed everything on the 3 tiers, but there’s nothing (apart from the scones) that stood out as ‘the best’. Plenty of other venues we’ve visited are on par with the food here – some of them even surpass it. 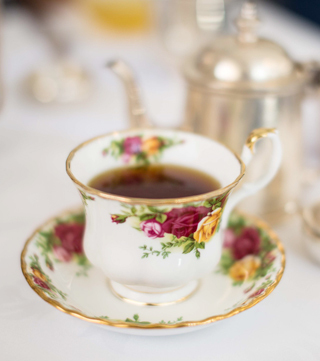 When it’s all said and done though, high tea at The Tea Room is definitely one to check out. The history of this beautiful venue makes it well worth the visit. A set selection of finger sandwiches, petit fours, tea or coffee. Tea Selection included. 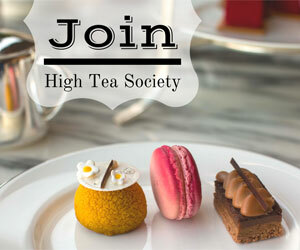 Tea for Connoisseurs additional $2. 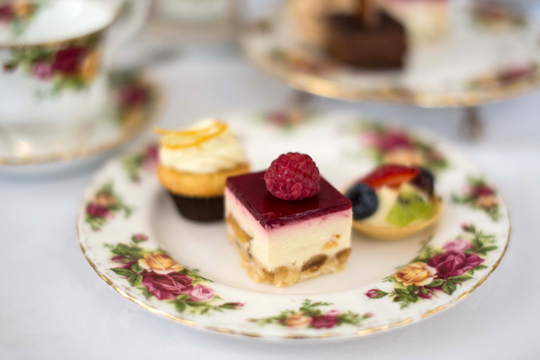 A set selection of finger sandwiches, petit fours, sweet and savoury pastries, scones with preserve and clotted cream, tea or coffee. Tea Selection included. Tea for Connoisseurs additional $2. 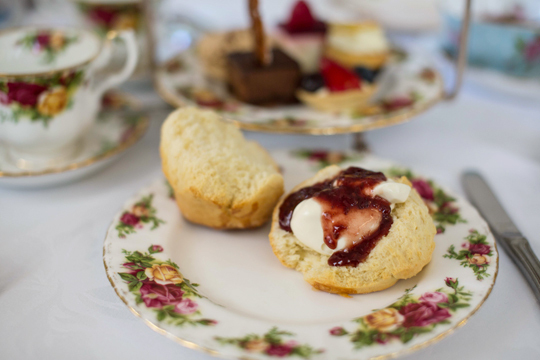 A set selection of finger sandwiches, petit fours, sweet and savoury pastries, scones with preserve and clotted cream, tea or coffee and a glass of Australian sparkling wine. Tea Selection included. Tea for Connoisseurs additional $2. 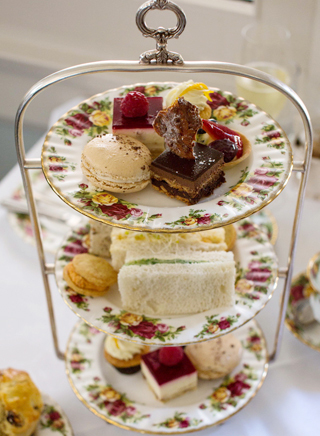 A selection of finger sandwiches, petit fours, sweet and savoury pastries, scones with preserve and clotted cream, tea or coffee and served with a cocktail. Tea Selection included. Tea for Connoisseurs additional $2. 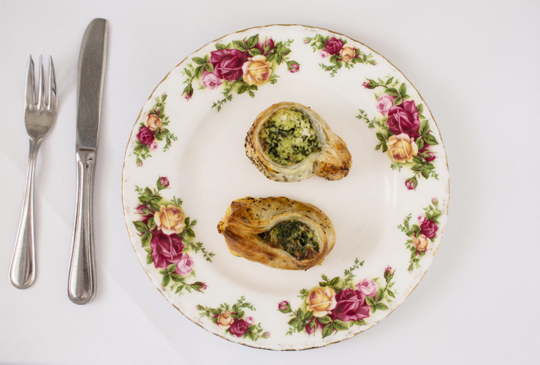 A set selection of finger sandwiches, petit fours, sweet and savoury pastries, scones with preserve and clotted cream, tea or coffee and a piccolo of French champagne. Tea Selection included. Tea for Connoisseurs additional $2.